Back to school was extra special for the students of Grace Christian School last week. The first seeds were sown over 35 years ago when some faithful men and women believed in the ideals of educating children in a Christ-centered environment. Throughout its history, Grace Christian School has established strong roots in the Island’s educational landscape and continues to develop the leaders, thinkers, and innovators of tomorrow. Based on our current demands and our vision for the future, we launched our Plant a Seed Capital Campaign in September of 2017. This past November, GCS broke ground for our phase one expansion which we have recently opened for this current school year. “We have been incredibly blessed by how every stakeholder has come together to make this vision a reality in such a short turn-around time”, said Principal Jason Biech. 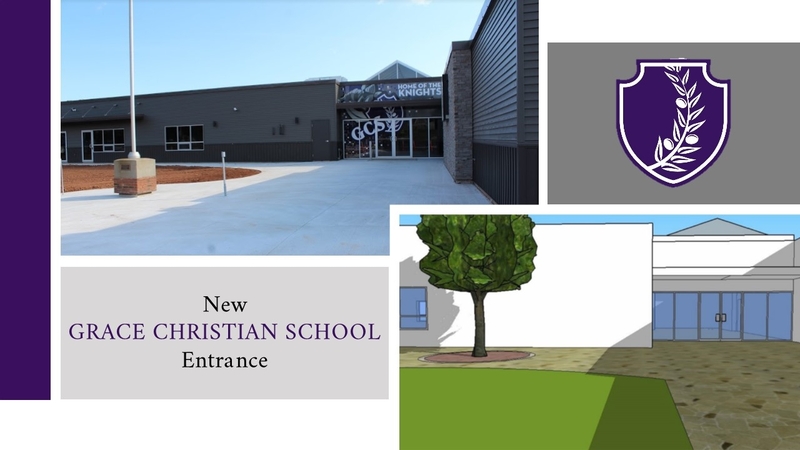 The new addition of Grace Christian School has provided the necessary space to accommodate more than 300 students in single-grade classrooms. Several modern learning environments have been designed to engage all learners, encourage collaboration, and accommodate our growing international student population. A variety of technological tools and devices to enrich student learning both inside the classroom and online have also been provided, including class sets of Chromebooks for our elementary students. “When I walked into the new atrium of the school I was amazed by all the natural light and our school logo etched into the floor. I couldn’t believe how modern my classroom was. It made me feel really excited about the new school year”, said grade 6 student, Riley Bissett, who has attended that school since Kindergarten. On Thursday, September 6th at 6:30pm, Grace Christian School held an official ribbon cutting ceremony in the new atrium of their addition. Tours of the new and updated facilities followed and a 24 Hour Knights Challenge yielded almost $18,000 in support of our capital campaign. If you would like to learn more about how you can support our Plant A Seed Campaign, please contact our Director of Advancement, Mrs. Natalie MacNeill at nmacneill@gcspei.ca. We are thankful for the generosity of others who have partnered with us to bring our vision for phase one a reality, and recognize God’s hand in all the progress we have made.